In this City Guide we’ll introduce some of our top things to see & do in Kobe. It’s a lovely, vibrant and modern city less than an hour by train from Kyoto and Osaka which makes it perfect for a day trip. Most of these ideas you can do at any time of year and they would fit into a moderately fast-paced day in the city. If you’re a slower paced traveller like us just pick and choose the parts that most interest you or consider a second day in Kobe, there is more than enough in this surprising city to justify a multi-day itinerary. 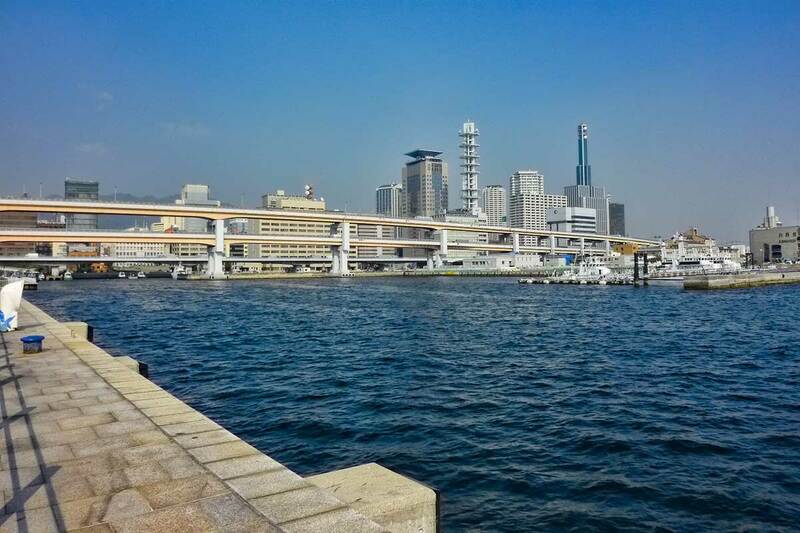 In 1995 the city of Kobe what shaken and devastated by the great Hanshin earthquake, the port area collapsed but the country rallied to repair one of its major port cities and links to the outside world. A small section of the port in Meriken Park has been left as it fell as a reminder of what was overcome. There’s a small information and memorial area here but a much larger earthquake museum is located within the city. 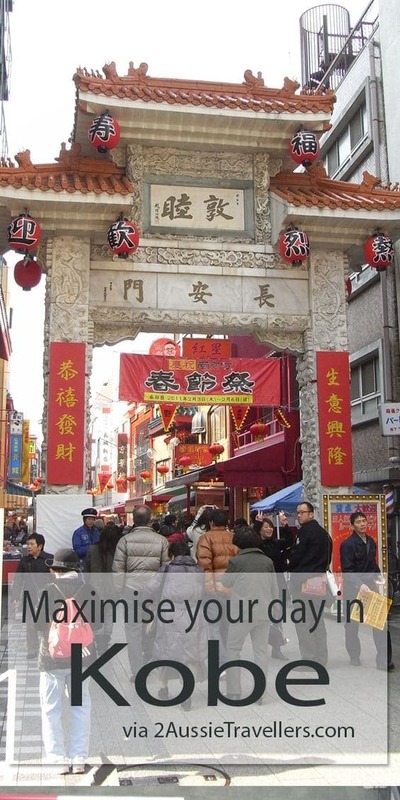 Kobe’s Chinatown known as Nankinmachi was named after Nanjing the former Chinese capital and was developed by Chinese merchants who settled near the port after it opened to foreign trade in 1868. From Sannomiya station it’s only a short 10 minute walk south west to Chinatown. Nankinmachi is made up of two main streets with a central plaza where entertainment sets up at various times. On the day we visited the stage was set up for the Lunar New Year celebrations. I can’t pass up Chinese street food, a lion dance and firecrackers so we probably spent longer here than we should have but well worth every bite. A ten minute train ride from the city centre will have you in the Nada district famous for it’s production of sake. You’ll want at least a couple of hours if you come out here to explore the various breweries and sake museums which mostly have free entry and sake tasting. If you aren’t overly keen on the beverage there’s also an interesting array of other products produced using sake. 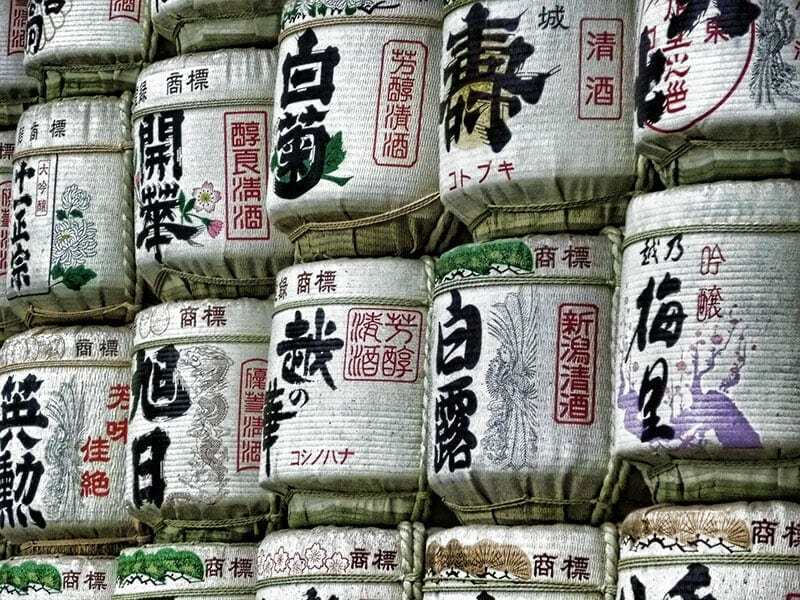 The English language coverage here is better than in many other sake producing districts if you want to understand the production method and tradition around it. The Shin-Kobe ropeway was on our plan for the Kobe day trip and I really wanted to get up there. From the photos I’ve seen and others I’ve spoken to the view is definitely worth it and I love a good rope-way. On any other day I think it would have been perfectly possible but with the crowds (and lets be honest the food) surrounding lunar new year I got a bit distracted in Chinatown and time got away on us. The rope-way starts next to the Shin Kobe station so it’s easy to get to and it’s always worth getting a look at a city from up high whenever possible to orientate yourself. My preference is a convenient mountain but a tall building and in Kobe’s case the Port tower, are other options. The rope-way will get you to the observation deck on top of Rokko mountain passing the Nanobiki waterfalls (somewhere else on my next time list) and Nanobiki herb gardens on the way. A round trip will cost you Y1400 or Y800 if you go after 5pm for the night views. 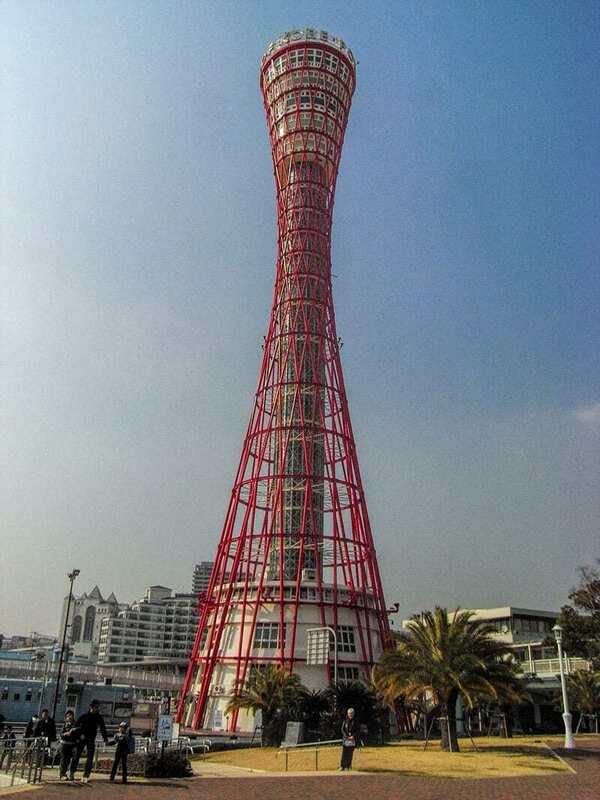 The Kobe Port Tower is 108 metres high and contains three levels of public observation decks at around 100 metres high above Meriken Park. In total 5 levels are open to the public, the other two contain a cafe and restaurant. The elevation provides excellent views over Kobe city and harbour from a convenient central location. The unusual exterior is covered in a red steel scaffold like structure and lights which make it a dramatic sight from outside both during the day and night. The tower is open daily from 9am until 6pm with extended hours through Christmas and the summer time. Entry is Y600. 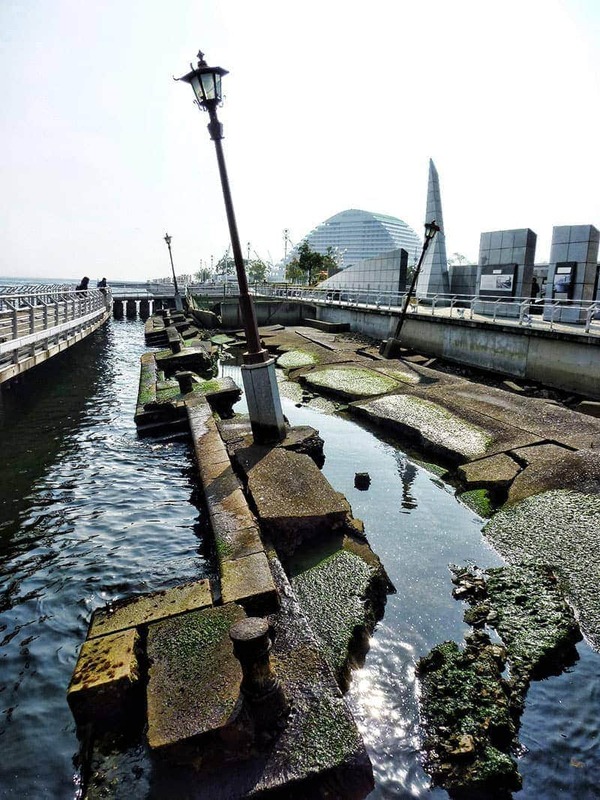 Also in this park area you’ll find the Kobe maritime museum and few unusual additions. 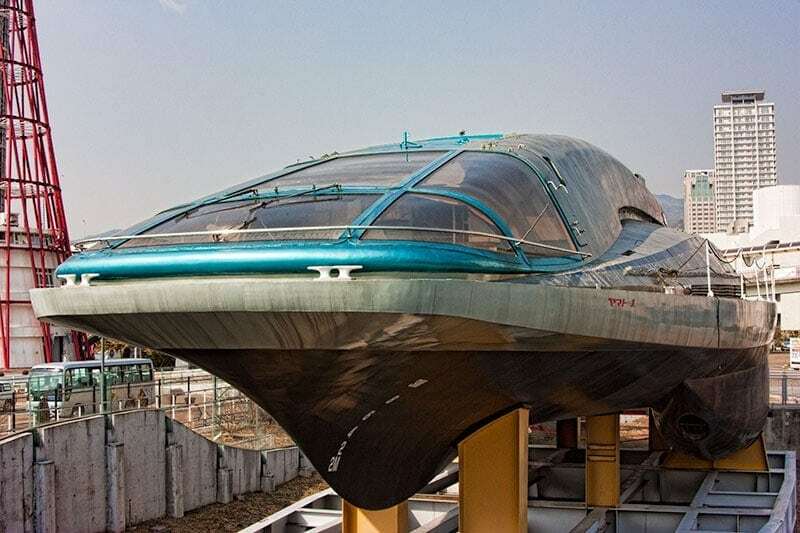 Not a hovercraft as I first thought, the Yamoto 1 is a a magnetohydrodynamic (MHD) driven vehicle which may be the only one you’ll ever see. Although the MHD has plenty of engineering advantages it only has a top speed of 15km/hr so it never took off commercially. Still this one was the first ever successfully operated in Kobe harbour in 1992 and another example of Japanese technical innovation. Gardens are generally high on my list wherever I am but especially in Japan. Sorakuen historically belonged to a mayor of Kobe who donated it to the city in 1941. During WWII all buildings except for some stables were destroyed but the garden was rebuilt in a its traditional Japanese style and today is another good example and enjoyable walk. Sorakuen is particularly convenient to Kobe city, take a 10 minute walk north (away from the harbour) from Motomachi station which is also the station closest to Chinatown. It’s easily combined into a day in the city. There are a number of excellent beef producing regions and farms within Japan but Kobe beef is famous world wide. If you’re a bit of a foodie, or just like to eat, you might want to include an experience of Kobe beef on your trip. Kobe beef comes from a breed of cattle called Tajima-gyu that are farmed around the Hyogo Prefecture (and now the world), not only in Kobe itself. While there is substance to the rumours of daily massage and beer for the cows it’s the exception not the rule. There’s a reasonable chance that your Kobe beef won’t have grown up on a diet of the best craft beers in Japan but it’s equally likely to be delicious. The real test of true Kobe Beef is the marbling score and quality. Beef isn’t something I eat daily in Japan but when we have ordered it, it’s cooked medium rare and very tasty. It can definitely be an expensive meal but there are ways to include it at a moderate cost so look around. The visitors centre in the train station are very helpful at marking out a range of options in your price range on a map. Festivals and celebrations are always fun when you travel and we happened to be in Kobe on Chinese New Year. 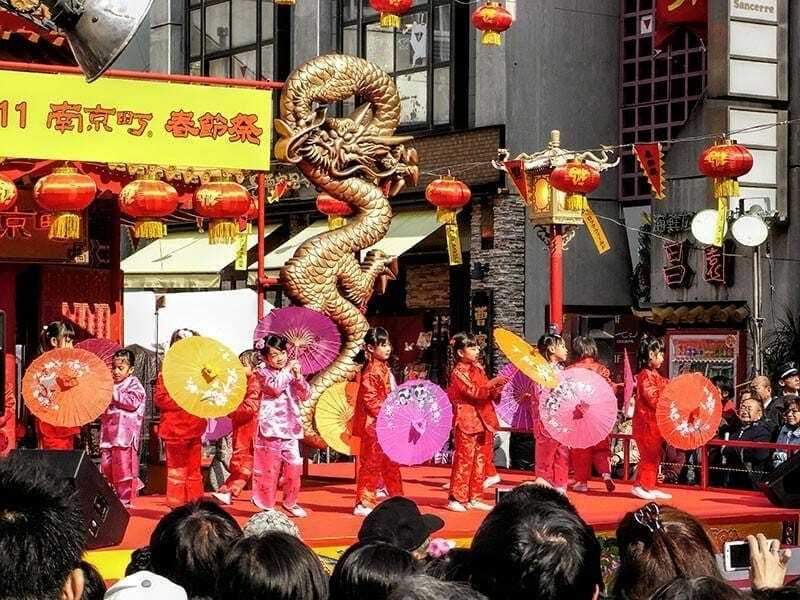 Japan uses the Gregorian calendar rather than the Chinese Lunar Calendar but that doesn’t mean the Chinese New Year won’t be celebrated enthusiastically in Chinatowns across Japan. 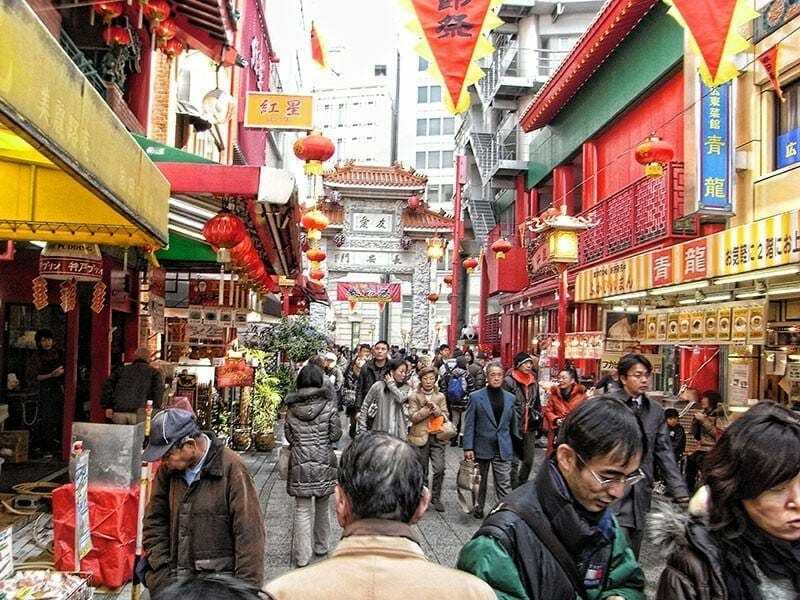 If you’re in Japan over the Lunar New Year and want your fill of Lion Dances and fire-crackers you’ll need to head to the nearest major Chinatown which are the historical port towns of Yokohama, Nagasaki and Kobe. There are a variety of festivals in Kobe throughout the year but I’d like to be in town next time for Kobe Luminarie – a stunning light up around the city during December each year. There is something in Kobe to interest most travellers and justify a day trip to the city. These 8 are my picks for a first time day trip but there are plenty of other options to fill a longer stay. I’d love to hear from you in the comments below if you’ve been to Kobe and would like to share your thoughts and favourite places in the city. We are on a cruise in August and we have an overnight in Kobe. Arriving Kobe 08:00 and departing the next day at 2:00pm. We would like to see a bit of Kyoto and would like to know which is the best way to get to Kyoto for the day. We tend to do things on our own rather than structured tours, unless a tour is a must and would prefer to not use the cruise line as they are ridiculously expensive. We will still have enough time the next day to see some of Kobe and your ideas above are great. Hi Jennifer. It’s easy to get through to Kyoto from Kobe, under 30 minutes on the bullet train from Shin-Kobe station or just under an hour from Sannomiya on a special rapid train. You’ll likely also want to use the subway and/or bus within Kyoto, there is a day ticket that might be worth considering if you are going to spend the full day there and want to get around a bit. Kyoto is a great city to explore but the attractions are quite spread out so a bit of pre-planning on what your ‘must-see’ places are and starting there is worthwhile. G’day! Me and a few friends will visit Kobe from Osaka for Kobe Beef treat. Lunch will it be so I was just wondering if there’s anything worth to visit in the morning before lunch? We will go to Nara after lunch as well. We’ve done and recommend the various suggestions in the article but with a few hours it will depend on the day and personal interest. If it’s a clear day the view from the ropeway is good, if you have an interest in sake the Nada district could be a good option and if you have an interest in the earthquake history or just getting a feel for the port city then wander through the earthquake memorial and waterfront area is another choice. So glad I stumbled upon you two. Great easy read. We are going end of May. It will be warm then? ?Keep posting..
Hi Liz, thanks for that. It will be warm by then but not really hot. Looking at day time highs in Kobe of around 25 Celsius and overnight lows maybe 17-18 celsius. Hi Liz, thanks for that. It will be warm by then but not hot. In Kobe the day time highs will be around 25 Celsius and the overnight lows 17-18 celsius on average. Good evening. My husband and I are travelling to Kobe mid November and just wondering how long to spend and what there is to see. We have been to japan twice before so not really interested in temples and gardens. Also we are looking at Sapporo and Nara for a couple of days each can you let me know if you think these are worth a visit on a quick trip. Hi Debra, Kobe is a great city if you want a break from the temples as they aren’t its main attraction at all. 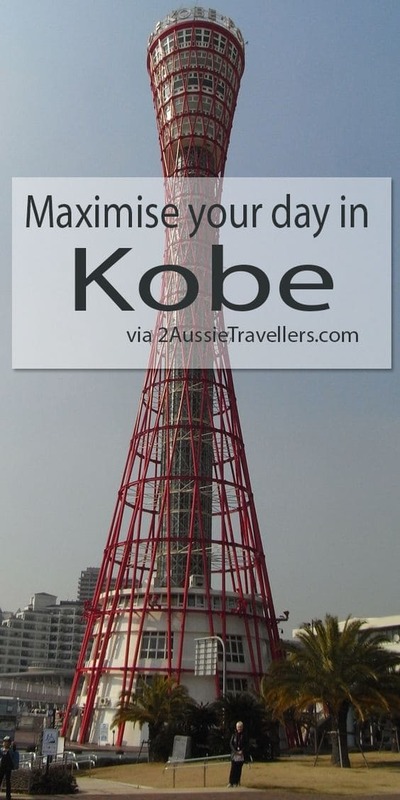 You can see a good amount of Kobe in a day, if I had the time and wanted a more leisurely pace I’d allow 2 days for the attractions I cover in the post. This would allow you to go up the cable car and see the view late afternoon and time it to see the lights come on over the city. With the second day you could also potentially add a walk to Nunobiki falls, a series of 4 waterfalls plus cascades, the walk leaves from near the shinkansen station and 2 hours should be enough time to see them, take some photos and enjoy the nature setting. We enjoyed Sapporo / Hokkaido on our brief visits so far and it’s somewhere we’ll go back to. I also love Nara but the main attraction of the city is the history, temples, shrine and of course the deer roaming freely in the park and parts of town so if you don’t want to visit the temples at all it may not be the best choice. You should be getting some good autumn colour by then so perhaps Arashiyama, if you don’t want to do the temples the hillside in colour would be good for the sagano train and boat ride, there are also onsen options. If you wanted to go further we enjoyed the onsen, outdoor art gallery and some natural areas in Hakone in November last year, it’s a good autumn destination. I visited Kobe last week and was very impressed. I spent JPY660 on a City Loop Bus Pass – you can buy this pass on the bus, there are stops outside both Sannomiya and Shin-Kobe JR stations. I then jumped on and off the bus as I pleased; it made sightseeing very simple and the buses ran till just after 6pm. The pass also enables access discounts to many Kobe attractions – I wanted to particularly let you know that the discount on the entry fee for ropeway/Nunobiki Herb Gardens was 20%, ie reducing the entrance fee from JPY1400 to JPY1120. I thought this was excellent value; it’s a spectacular ropeway, and the gardens are a delight. If you visit, don’t miss the (free) hot herbal footbath on the garden terrace at the Glasshouses. Nothing beats a soak in a Japanese footbath with a view – all of Kobe is literally laid out at your feet! Thanks Melissa, great tips. We’re headed back next month and will check out the foot bath – who doesn’t want to soak with a view! I’d love to find out what other attractions are discounted and where I can find the information. I tried looking at the City Loop Bus’s website and doesn’t seem to be able to find any such info. And of course, I’d love to see hear what else you’ve discovered in Kobe! Thank you for all the info on this page. Hi Amanada, I saw your later message saying that you found the page you were after but will include some other discount information here for others that are still looking. For discounts there is also a Kobe Welcome Coupon available from the official city tourism here http://plus.feel-kobe.jp/coupon/ that gives 50+ discounts in the city including a discount on the loop bus. The coupon is for tourists and free to download. As with any discounts just do a quick check to make sure it is the best deal, sometimes it’s still better to get the day pass or return ticket if that matches your usage. p/s: I found the discount info on the City Loop Bus’s Japanese version of their website after I asked. I wanna see the best of Kobe in 2-3hrs at max. Reaching shinKobe station from shinkansen. Please suggest places and how to reach from shinKobe station. I will reach around 4-5pm. With such a limited amount of time and late in the day I’d consider what you really want to experience the most and focus on one or two places rather than trying to see too many. Also consider the time of year you are travelling and what time it will get dark, some items are more suited to an evening visit than others. First…we are cruising around Honshu in April next year and we shall be in the port of Kobe for 2 nights. We don’t particularly like doing the cruise tours that are offered by Celebrity so we like to do our own thing! Is there a train station at the port or is best to take a taxi to Chinatown and into the city? Where is the tower and Maritime museum in Kobe port? 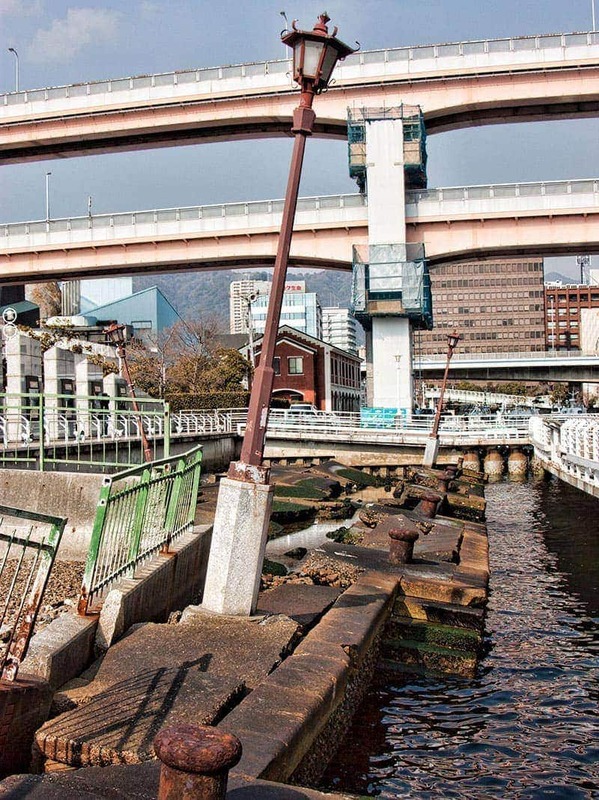 How would we be able to get to the Ropeway from the Port? We don’t speak Japanese so all very “foreign” to us! We have travelled extensively to Europe but we can get by without language over there! Hi Annette, The train station is a little way back from the Kobe Cruise Pier which I would assume is where you would be docked. Kobe-Sannomiya and Motomachi stations would be about equal distance from the pier, both just under 2km. You will reach Chinatown before Motomachi station in the same direction. For Kobe-Sannomiya you’d walk pretty much in a straight line along the cruise pier and keep going away from the water. For Chinatown you’ll turn left (west) then head in away from the water just a couple of blocks. You’d continue going west a short distance and back towards the water for Kobe tower, Merikan Park, Earthquake memorial etc. It’s all walking distance. The rope-way is just behind the Kobe Bullet train station (Shin-Kobe), it’s about 3.5 km from the pier, if you don’t want to walk you could take a taxi or walk to Sannomiya station through the city and take the subway from there the extra 1.5 km further on inland to Shin-Kobe. It’s a pretty compact city really. We speak almost no Japanese and we’ve traveled all around the country independently, some communication is difficult but as long as you’re patient the Japanese are very polite and in our experience almost always willing to find a way to help you. Also cities like Kobe have a lot of signage in English. It makes me feel stupid to say it but I never actually knew there was a Chinatown in Japan! And I’ve heard of Kobe beef but never tried it, it’s pretty famous isn’t it? 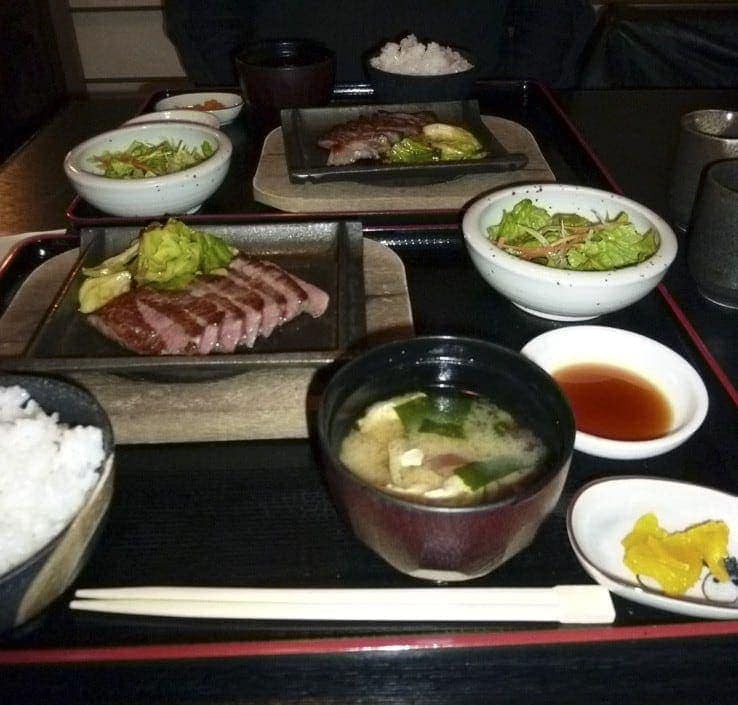 Yes the Kobe beef is pretty special, definitely something you need to do if you visit the city. Oh wow! I have never seen a memorial that retains its actual reason for having a memorial. That’s such a powerful reminder, to keep parts of it. I ate Kobe beef in Kumamoto but I am sure it would be better to eat Kobe beef in Kobe! Hi Rosemary, given how quickly Japan swung into action to re-open the major port in under two years with aftershocks still happening through most of that first year, I was also amazed that they had the foresight to preserve a section like that, it presumably actually made the job more difficult to do that.